Jessica Sporn Designs: "Frightfully Fall" Blog Hop Featuring the Creative Team and a Giveaway! "Frightfully Fall" Blog Hop Featuring the Creative Team and a Giveaway! Hi all! 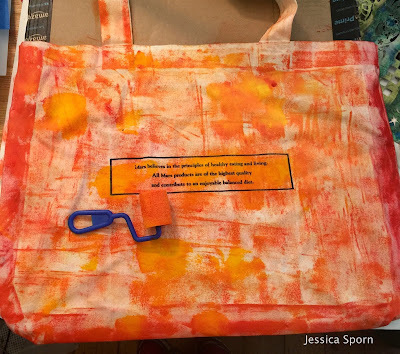 I'm so excited because it's the FIRST blog hop with members of the Jessica Sporn Designs Creative Team. 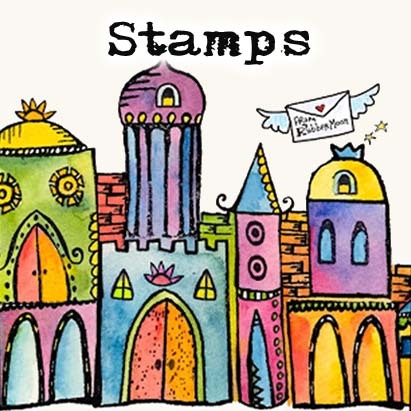 to share some fall creations using my stamps and stencils. I hope you've been enjoying the Creative Team posts - I know I have! Here's a chance to see five of these amazing artists all at once! 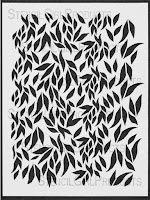 We have a great giveaway - one lucky commenter will win my Cascading Leaves stencil and Tree of Life stamp. All comments on all the blog hop posts count - so make sure to visit everyone and leave some kind words for a chance to win! Without further ado, here's my project! I have TOO MANY canvas bags from various retreats. I decided to re-purpose one for my daughter to use on Halloween (instead of a pillowcase!). 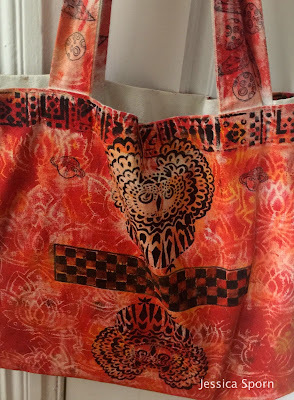 I started out by loosely painting DecoArt fabric paint in yellow and orange on the bag, using a foam roller. I then used red paint and my Lacy Lotus stencil to create a background. 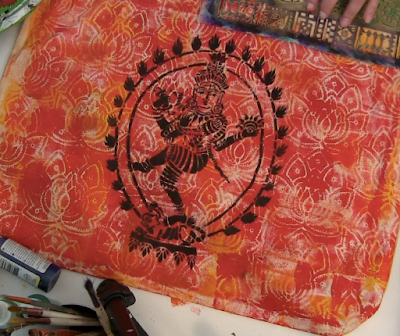 I used my Shiva stencil to create a strong focal image, and the Borders stencil for a top border. 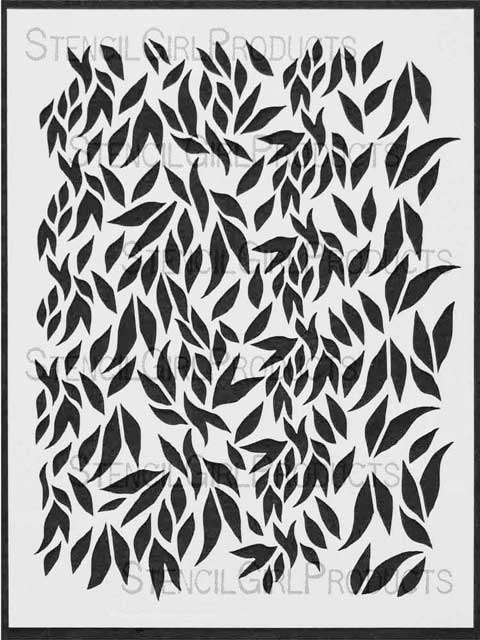 On the other side, I used the Horned Owl stencil for my focal image. I stamped the straps using my Mercurial Mercury and Topsy Topiary stamps from Rubbermoon. Check out the whole process in this 3 minute video. Or watch DIY Canvas Fall Tote Bag on YouTube here. I hope this gave you some ideas to kickstart your fall crafting. to see their fall creations! Remember, all comments on all the blog hop posts count! Comments close at 9PM EST on Monday, October 10/10, and I'll announce the winners in my Tuesday blog post on 10/11. Love the stencils and awesome colors on the bag! I love that stencil. There's so many things that can be done with it. Jessica I just love, love, love your style. What a great way to repurpose and personalize my growing stash of canvas bags. Such an amazing hop filled with inspirational projects! I love seeing everyone's techniques! Outstanding! Love this bag too! Brilliant...you are right...those canvas tote bags can really add up. Love love love the background colors. Thank you for entering me into your drawing. 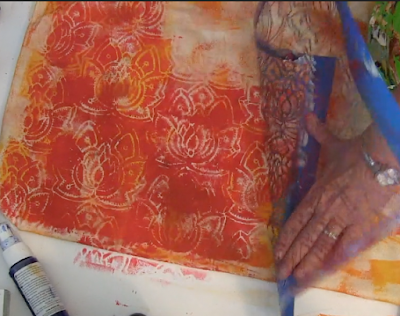 Wow - I've never tried using stencils with fabric! I love this bag, and can think of many people who would like something like this for Christmas! Thanks for sharing! I need to to a bag like this, I truly love it!!! How lovely this bag is. 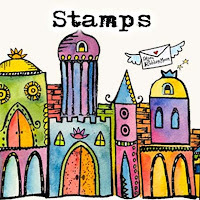 Love the colors and the stencils as well! Love the bag and the colors! I forgot to add my email....ruskingirl06@gmail.com Thanks. What a cute idea to upcycle bags. They would also be great gifts if done on new bags. Thanks for sharing such a good idea. 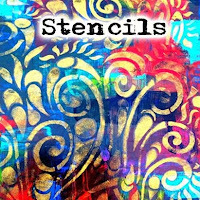 I love it, I am feeling drawn towards making something with stencils and fabric - Inspired, Thank you!! Off to hop along and check out the other gals! WOW, that's a great way to make a dull bag shining! What a great way to upcycle. Love your ideas. Looking forward to more inspiration. 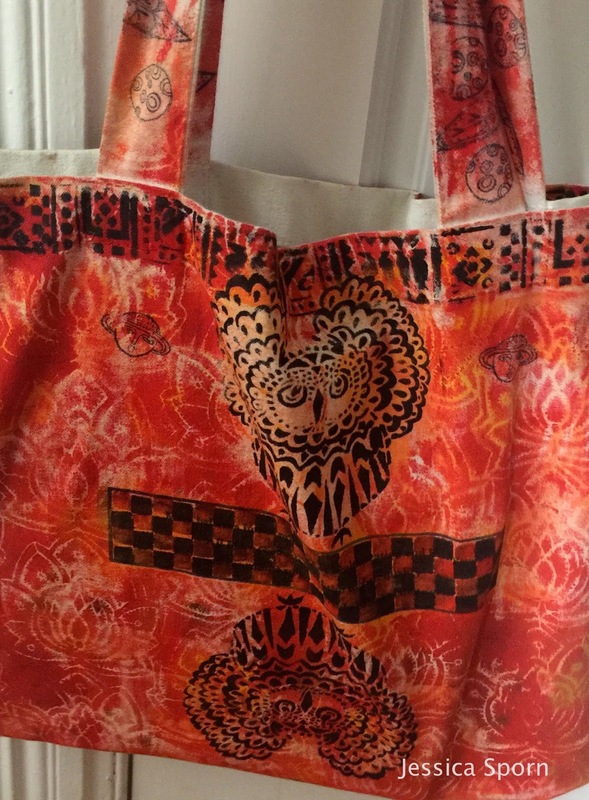 I love recycling and re-purposing just about anything and this is a super way to give a unused bag a new meaning. This has to be the best Trick or Treat bag ever and am sure your daughter loves it. Super video and now I want to dig out some old bags. Thanks for sharing and the video is great. 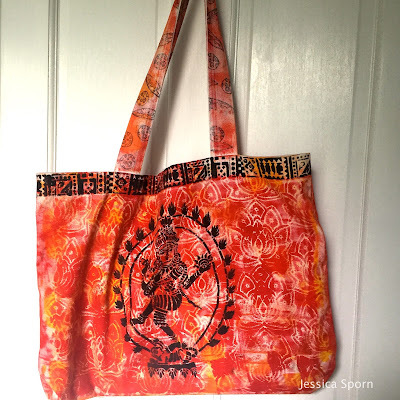 What a great tote - I like how you used the lotus and other stencils. Beautiful ! What a great idea! I have a couple of old bags that could be spruced up. Such a wonderful bag. I may have to re-purpose a few of mine. Thank You. 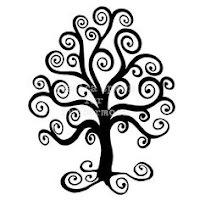 This is very beautiful! I really love canvas bags, actually, all bags! :) Very nice, and I love the orange!